THIS IS STILL A WORK IN PROGRESS!!! I just wanted to get it up on the board ASAP. There are many things and defintions that still need to be added, I am sure Randii, Rick and John will want to change things. Please feel free to add to this or e-mail me so I can edit this post. I want and need your input. Q. What will Route Designation do? Q. Why is this happening? The Forest Service wants to improve its management by balancing the public's enjoyment of using OHVs with ensuring the best possible care of the land. At the national level, the Forest Service is revising its policy governing the use of wheeled motor vehicles to develop a system of roads, trails and areas designated for motor vehicle use. This new policy will still provide public opportunities for motorized and non-motorized recreation, while enhancing protection of habitat and aquatic, soil, air and cultural resources. a. The Forest Service does an inventory of all existing roads and trails used by off-road vehicles and compile the info. This includes “user-created” roads that the forest service does not manage. b. They issue an order prohibiting wheeled vehicles on these routes until the project is over. 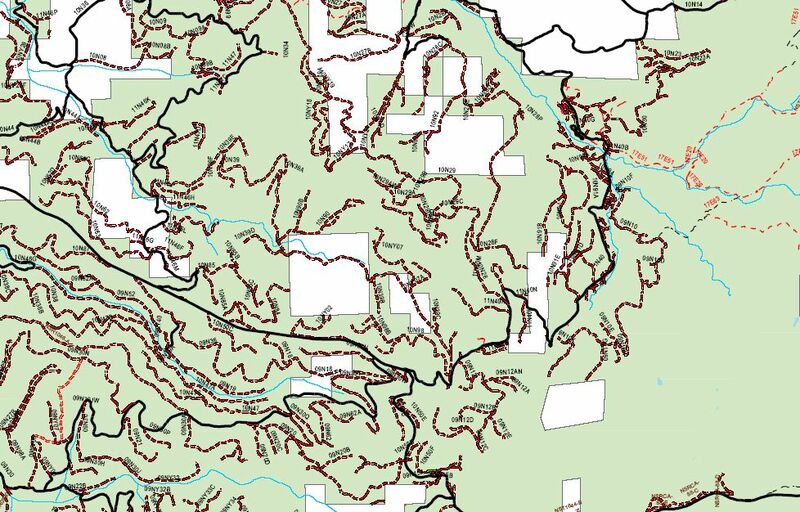 c.	The forest service proposes a new map (or multiple alternative maps) of the forest with routes designated and/or removed from the maps. Supposedly this is done with public input. d.	The Forest service releases a draft map with which routes will be for off-road use and which routes will be closed. 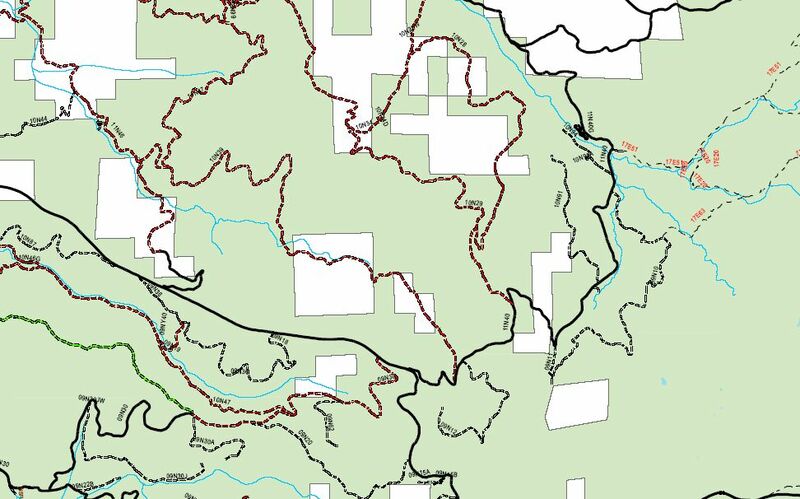 f.	The forest service makes a “final-final” map of the forest identifying their “approved” routes. More coming soon, including defintions of terms. Last edited by Kurtuleas; 07-13-2007 at 12:28 PM. Thank you for the explantation but what does a person do that does not know of the less popular trails/roads/campsites, just pic some that are on the inventory map and do not show up on the alternative map and say "I want these becuase I have been going there since birth"? I have cut and pasted this and emailing to everyone I know. "See that double? Do that double! marrying wisely and investing well-but they don't clear as many doubles." I would like to see someone who has some knowledge of this process (much more than I) make a cookie cutter form that we can fire out to all our friends and make it very easy to send in. I heard nothing that said this would not be allowed durring yesterdays phone meeting and did not bring it up myself in order to not give them a chance to say "no you can't do that". My understaning is they have a LEGAL responsibility to "hear" all comments within the 45 day period. WE NEED TO FLOOD THEM WITH COMMENTS! this would be the best way. Rage 4th "safety is our #2 concern"
That is why we are collecting a list of routes and campsite that MAY be on the chopping block now. We plan on supplying a list of common trails and campsites to as many people as possible, with possible reasons to keep them open. Yup!! We need a MASSIVE response! Location: The Land Of The Free, Thanks To The Brave! Peter S. Di Primo - Waterjet, laser, metal forming, CNC work, Fiberglass and Carbon work, patterns and molds. No job too small. Prototyping and small production is our specialty, but we have the network to handle large jobs as well. Email me if you need something cut, bent, formed, milled, machined, etc. Help Fight Global Warming- turn your A/C on high and open all your windows. Alcohol, Tobacco, and Firearms should be a convenience store - NOT a government agency!!!! True that!! I would also change the title to "Region 5" or "Eldorado" as this is general land use forum. What about the American Disabilities Act? These trail closures will affect those that can no longer hike,bike,or ride horses due to disabilities. How long has the DEIS been posted?? It is up now. Downloading as we speak. Last edited by cruzila; 07-13-2007 at 02:05 PM. Do not rely on the ADA. Congress has taken that out of the equation. why do I have to argue for specific roads?? isn't part of the point of going up there and camping to explore a bit? find a new spot? Why can't I list every closed trail and say that, "these should ALL be open because me and a lot of other people haven't even seen them yet"???? why the hell can they close things without ANY reason besides having less? What about the massive damage of concentrating the existing (and growing) activity onto an area not even half the size of before? Hows that going to help besides getting more things closed off? "they've lowered the speed limit to zero and banned reverse"
I just cannot understand why the forest service seems to be taking this to such extremes here in Eldorado. is it just me? we are losing 50+% of our roads, not unauthorised trails..but forest service signed, number and named roads. I dont care if they are dead end routes, they have been there, they do no harm and should continue to exist. ok do you think I am frustrated yet? what does it take to remove a forest supervisor? this gentleman does not have the best interst of the people in mind. he has no knowledge of THIS forest. put the route designation process aside, what would it take? I found these nicely done maps of the EDC forest road closures. This supervisor has not made any decisions. Ousting him will be a waste of time unless you can provide a replacement that is interested in OHV. The work is being done by teams within the FS. Anthony was at the helm for much of the decision making. He is gone. What are you expecting them to replace him with Hillary? Focus on the routes. Focus period. Cool off, start looking at routes and getting others to provide input to you. Build your team. ps threatening a federal officer is taken at the highest of seriousness. Watch your comments in public. I just cannot understand why the forest service seems to be taking this to such extremes here in Eldorado. Eldorado is the first forest to complete route dez. I would suspect there might be similar action in other forests. None that i know of have gotten to the alternative stage yet. All we can do is stay informed. 1.7. Seasonal closure effect on wheeled motor vehicle recreation opportunities. 2.8. Impacts to grazing allotment capabilities and livestock. What's all the Hub-bub about Blue Stars??? The core issue is that restrictions put in place in one spot are going to have an impact in another spot. "Get involved! NOW! Make sure everyone you know responds during the 45 day comment period. Get on the forest service e-mail list. Pass out flyers on the route designation process in a National Forest near you. Post on various message boards on the internet to spread the news. ELDO National will be holding meetings all over NorCal after the final Draft is picked on the 20th. GO TO ONE OF THOSE!!!" OK I want to help but we are grease monkeys and are having a difficult time trying to understand exactly what we need to do. I'm handing out flyers, but everyone asks what should I do? So can you explain to a bunch of mountain people how to understand our stand? Really We have a basic understanding of what the outcome may be but when we go to the meeting what do we do? We want our trails open but the why is more difficult. Please if you have an example of the arguments or comments made and how to put our concerns into words that will be heard it would help. I think too many people I'm running across are confused as to WHAT WE NEED TO DO, to change this. Thanks..
We feel we don't have enough information to make an intelligent statement.